Enjoy the satisfaction of picking your own tasty herbs or strawberries straight from your Patio Planter™, knowing exactly how they have been grown. Most Garden Centers and Nurseries sell ready-grown young plants, so choose the varieties you like, use our suggestions, or keep costs to a minimum and start your own tasty vegetables from seeds in pots on the windowsill or our Rootrainers. Seed packets or plant labels usually indicate if a variety is particularly suitable for container growing. Strawberries are rich in vitamin C, manganese, and folic acid. They are a good source of ellagic acid thought to combat carcinogens, and help protect against heart disease, stroke, and cancers. As well as the traditional accompaniments of sugar and cream, try soaking fresh strawberries with a little sugar in fruit juice, orange liqueur, sweet wine, sparkling wine, or balsamic vinegar. Strawberries can be used as fillings for pies, shortcake, sponges, and flans. They also make delicious ice creams, sorbets, and mousses. If you have some strawberries left, try making your own delicious jam or use strawberries to flavor vinegar or to make liqueur or syrup. Place a layer of gravel, broken pots or other suitable material into the bottom of the planter to help drainage. Fill with good quality multi-purpose compost or potting soil to approximately 3 inches from the top of the planter, ensuring the compost/potting soil nearly fills each of the side pockets. Follow instructions on plant labels or seed packets, remembering to thin out seedlings when large enough to handle. Water plants before planting and allow to drain. Carefully add water in after planting without soaking the compost/potting soil. Do not place outdoors until after the last frost, or keep in the light, in a frost-free situation. Water regularly and do not allow the compost/potting soil to dry out. Feed regularly from early summer with a good liquid feed or use a slow release fertilizer following manufacturer’s instructions. Plant 4 strawberry plants in the top of each planter, and 1 in each of the 8 pockets around the sides (24 plants in total). BASIL - Makes a perfect patio herb. Literally dozens of different varieties with many existing scents, colors and flavors. DILL - An ideal patio subject and will add new dimensions to fish dishes. FENNEL - Leaves are used with fish and in soups. Seeds can be used to flavor cooking and pickled. Also said to reduce the toxic effects of alcohol. FEVERFEW - An attractive daisy-like flower will add color to the patio. 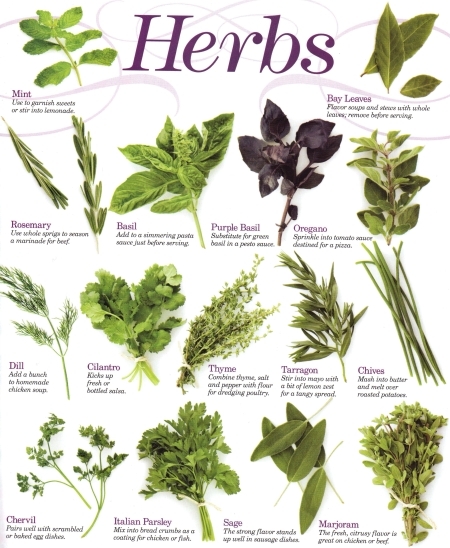 Leaves have been used since ancient times to treat migraines and arthritis. GREEN PURSLANE-A fantastic salad herb, fast growing, easy to grow and can be cut and cut and will come again. LEMON BALM-Has a strong lemon fragrance. Fantastic with fish and chicken, or used as a tea will help keep insomnia at bay! LOVAGE - A fantastic seasoning for soups and stews. Stems can be added to give a celery flavour in salads. MUSTARD-A fantastic garnish and addition to salads, and some varieties can be grown outdoors. Give the kids a go. MINT-Very many varieties with exciting flavours like chocolate mint! Used extensively in cooking and for tea. PARSLEY-So many uses in cooking and as a garnish, whether tradition curly variety or a tasty and fashionable flat leaf type – never be without it again. ROSEMARY-A perennial herb that just keeps coming, keep cutting to keep a compact habit – try some stems on the Aga for a wonderful welcoming fragrance around the home. ANISE - Delicious chopped in salads. Use to flavor bread and cakes. The seeds will even cure the hiccups and give a restful night’s sleep! BORAGE - Add a touch of elegance and sprinkle the attractive blue flowers on salads. Use the cucumber-flavored leaves with the pre-barbeque Pimms. BURNET - Attractive cucumber flavored leaves for use in salads and sauces. CHERVIL - Fernlike leaves can be used like parsley. CHIVES - A tasty onion flavor addition to salads and so easy to grow. There are alternative varieties with garlic flavor. You can even make an organic insecticide from them. CORRIANDER - Can be grown for tangy fresh cut leaves and stems, or for the seeds to add an eastern flavor to cooking. MARJORAM - A strong aromatic flavor used to season roasts and sausages. OREGANO - Will add a taste of Italy to patio barbeques. ROCKET - A useful addition to salads and as a garnish. SAGE - Another perennial, so useful at Christmas. TARRAGON - Used with chicken and fish in sauces. Can be used to make Tarragon vinegar. THYME – As old as time itself and so versatile. Available with variegated foliage and various flavors, e.g. lemon thyme, delicious with layers of smoked salmon.